Anybody got a good Crock Pot Queso Dip Recipe I'll use Valveeter if I have to but had rather have a Recipe that uses regular cheeses. 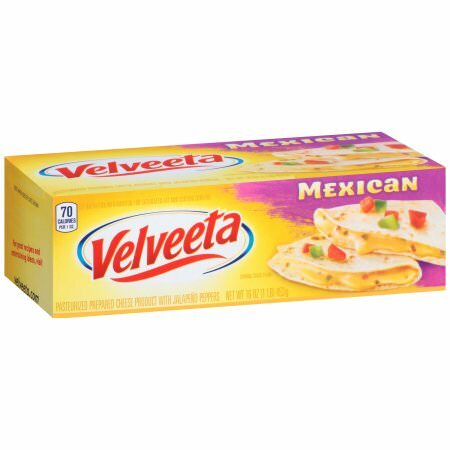 My wife uses Velveeta and Rotel the common queso dip. But she modifies it by cubing up sharp cheddar and mixing it in with some milk to get the proper consistency. OR you can make you own Valveeta and use the cheese you like. Make your own Velveeta cheese at home in less than 10 minutes! 1. Line a small loaf pan with plastic wrap, covering all sides and leaving excess to hang over the sides. 2. Place the unflavored gelatin and dry milk powder in a blender or food processor (I used my blender). Pour the boiling water over top and immediately pulse to combine. Add the cheddar cheese and puree the mixture until smooth. 3. Immediately pour and scrape the cheese mixture into the prepared loaf pan, smoothing it into an even layer with a spatula. Fold the excess plastic wrap over the cheese, pressing it against the surface of the cheese, ensuring that it is completely covered. Refrigerate for at least 12 hours, until set. The cheese will keep in the refrigerator, tightly wrapped in plastic wrap, for up to 1 month. Black pepper, cracked, to taste. Melt cheeses in the crockpot and then stir in other ingredients. Good looking recipe, be sure to let us know how it turns out. That looks good, especially for the wife and crew, but if you were to be eating it I would bet your tongue would be beating a hole in the roof of your mouth looking for more heat and spices. Those chilis are for color only, pure candy. OK, before I post the pics of the Very Late Christmas Gathering I have to say that 'From Now On" I will use Valveeter (Oakies Recipe) and forget my foolish iddies that real chez is better. Don't get me wrong my Stepsons ate it to the bottom of the crock pot but it was grainy and, as Outlaw mentioned, Heatless Sometimes it takes me a while to "snap" but I've changed from now on.